The ruling that Rangers' use of Employee Benefit Trusts broke tax rules will not alter previous decisions made by football authorities on the matter. 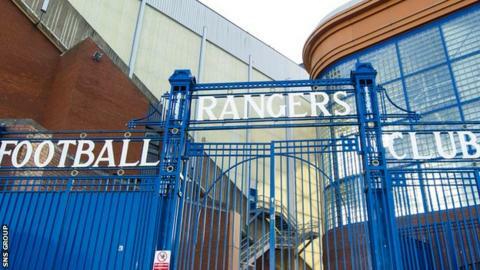 In February 2013, a £250,000 fine was imposed on Rangers for non-disclosure of player payments from 2001 to 2010. Wednesday's Court of Session verdict can be appealed against if permission is sought before 2 December. The Scottish Professional Football League and its legal advisors will take time to consider future events. This week's court decision is in relation to Murray Group companies and does not affect the current owners at Ibrox. BDO, as liquidators of RFC plc, are the only involved party remaining that could challenge the HM Revenue and Customs court win since those companies of former Rangers owner Sir David Murray have been wound up. RFC plc were charged with paying an additional £150,000 in costs, and the total of £400,000 was sought by the Scottish Professional Football League (established when the SPL merged with the Scottish Football League) from Rangers International Football Club, the company that now owns and operates Rangers. RIFC disputed their responsibility to pay the fine, and asked the Scottish Football Association to convene an arbitration tribunal to make a ruling. "The League will take time to consider this lengthy and complex judgement"
Led by Lord Nimmo Smith, the SPL investigation ruled that the club should have informed the football authorities of the payments and the existence of side-letter arrangements. It did not consider the taxable status of those payments. The commission also judged that their findings ruled out any sporting penalty, since the non-disclosure did not affect the eligibility of players. Hence, Rangers were fined rather than stripped of the SPL titles they won in 2003, 2005, 2009 and 2010. "Rangers FC did not gain any unfair competitive advantage from the contraventions of the SPL rules in failing to make proper disclosure of the side-letter arrangements," the commission's judgement stated. At the time of the judgement, the tax tribunal had ruled that Rangers Football Club plc's use of EBTs was lawful and not subject to tax, with that judgement subject to appeal by HM Revenue and Customs. In the commission's ruling, it was stated that "Mr McKenzie [the lawyer representing the SPL] stated expressly that for all purposes of this Commission's Inquiry and Determination the SPL accepted that [Tax Tribunal] decision as it stood, without regard to any possible appeal by HMRC." The tribunal met last week, and the verdict has still to be communicated to the two relevant parties - the SPFL and Rangers. After RIFC took over as owners of Rangers, an agreement was reached with the football authorities for the club to enter the bottom tier of Scottish football in 2012 and they are currently top of the Scottish Championship.